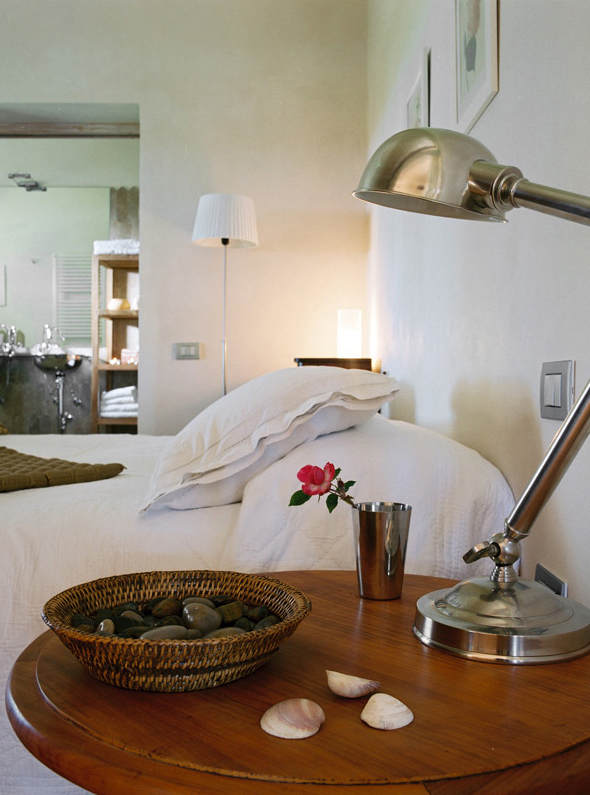 Poggio ai Santi offers over 7 acres of botanic gardens that continue into an olive grove and scrubs; part of over 80 acres of land hugging the hills, with the sea, Elba and Corsica as a backdrop. The swimming pool area with its rose garden offer a unique view of the promontory of Populonia, the ancient Etruscan city. 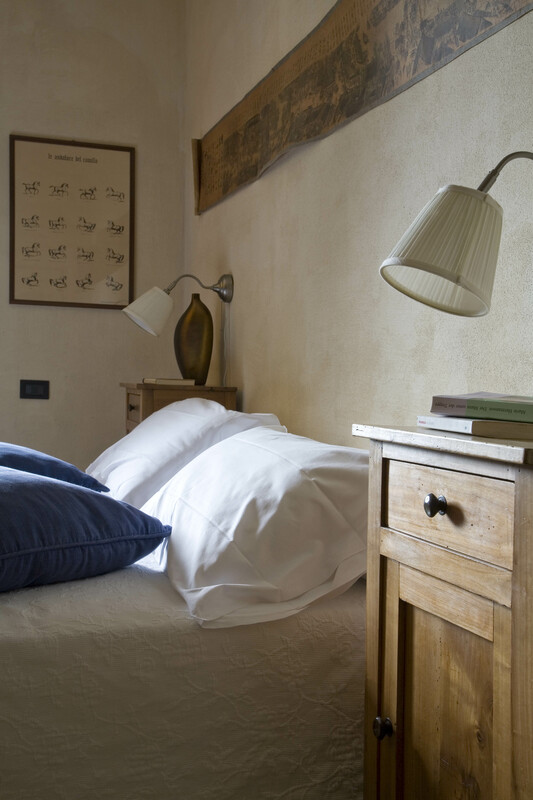 Space: Poggio ai Santi offers over 7 acres of botanic gardens that continue into an olive grove and scrubs; part of over 80 acres of land hugging the hills, with the sea, Elba and Corsica as a backdrop. The swimming pool area with its rose garden offer a unique view of the promontory of Populonia, the ancient Etruscan city. 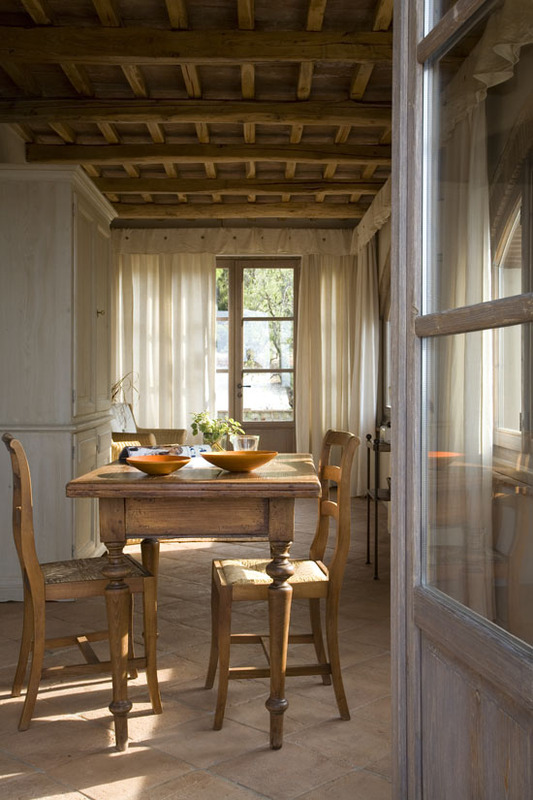 The suites are also an open space, most of them with a veranda access. 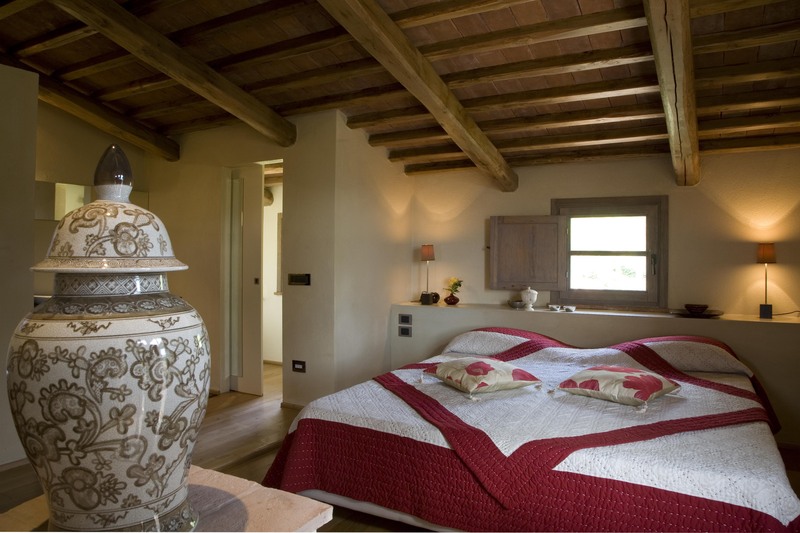 The Podere, the main building, is typical of Tuscan country houses: it contains the Il Sale restaurant and the Sal8 bar, as well as 4 suites on the first floor. 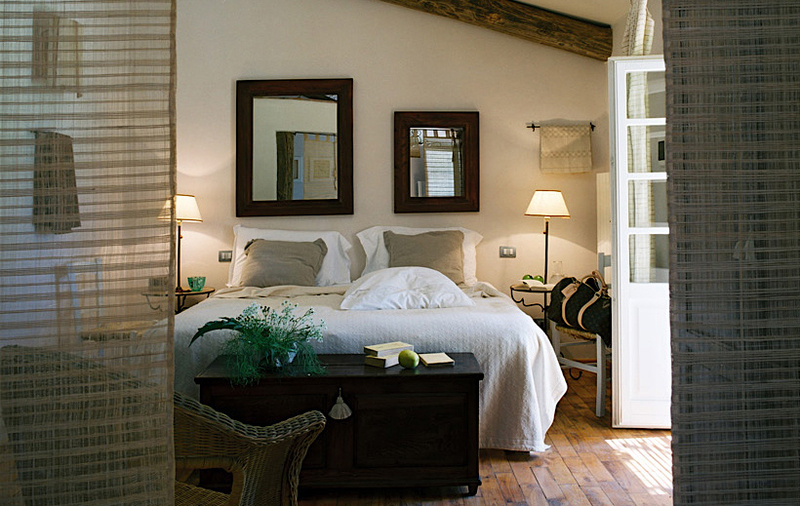 The other suites are grouped on four different sites in the park, offering welcome privacy. Silence: thanks to the unique location of this hill, overlooking the sea, only 5 km from the beach and the motorway (45 minutes to Pisa airport and 75 minutes from Florence airport). 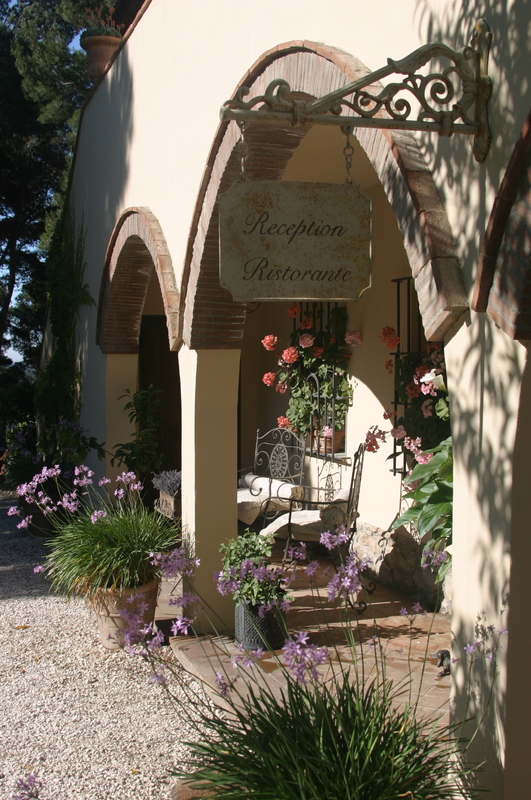 The large suites (75m²) are located in the villa, on the south side of the park, with one of the loveliest views of the region. 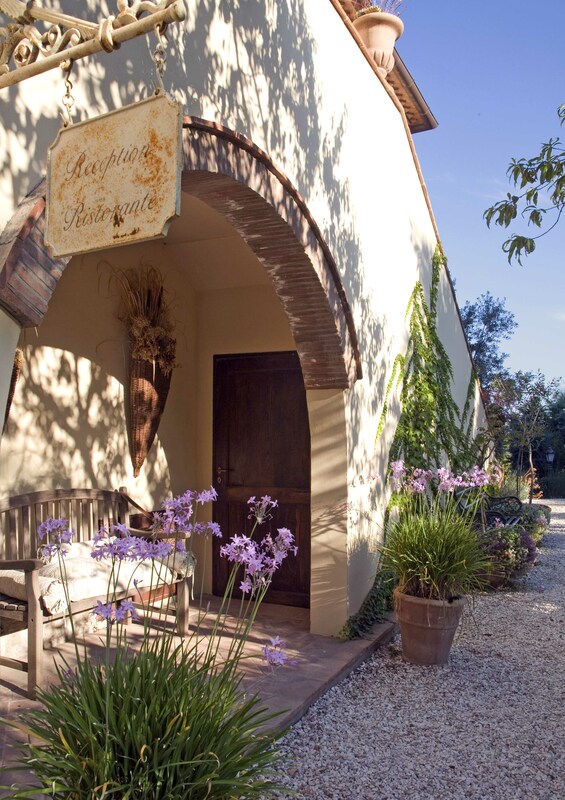 The Stables offer three suites, directly overlooking the park. 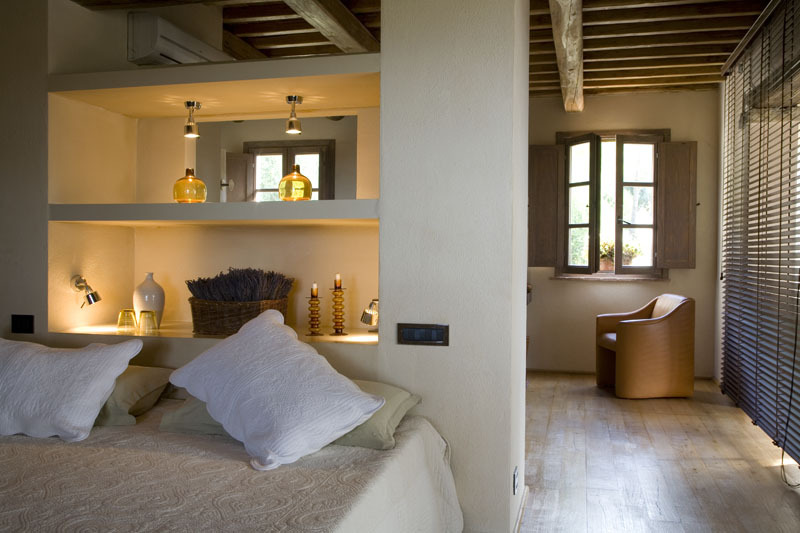 The Podere has four suites (including two Juniors), on the first floor. 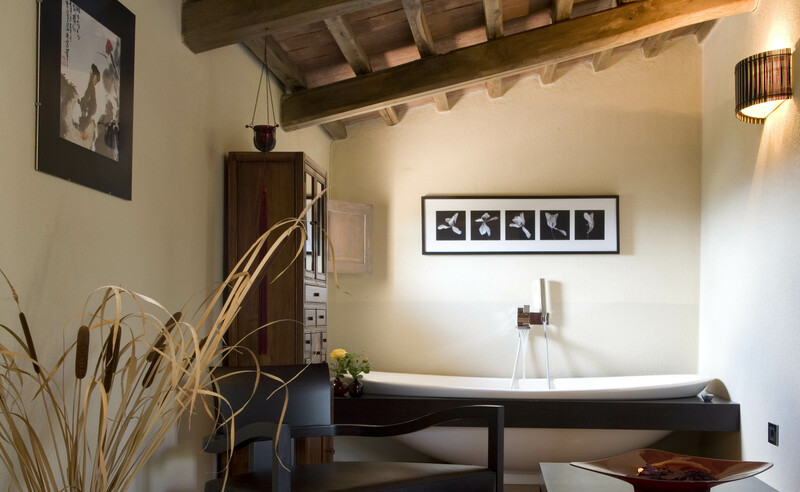 NPoggio ai Santi has developed harmoniously over the years: the suites are the result of renovations and new constructions: each has its own features, furnishings and decor. Our guests generally develop an attachment during their first stay and we try to guarantee them "their" suite year after year. Francesca who does not count the time she spends in playing close attention to all the details of this vast property, has put her soul into these choices where aesthetics vies with well-being. The bathrooms in particular have needed time, effort and subtle choices of materials to achieve the great comfort they provide.